My dog name is snoopy. 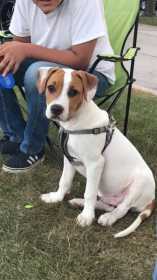 He is really friendly and hyper.he was about 8 months when he ran away in glen ellyn . My number is3312763481 if anybody knows anything that can help me find him .